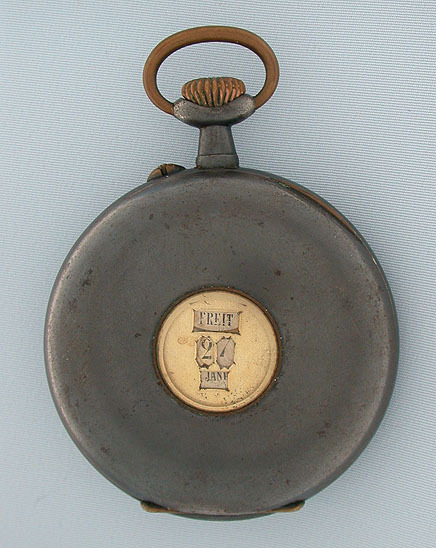 Unusual Swiss gunmetal double dial digital calendar antique pocket watch circa 1890. 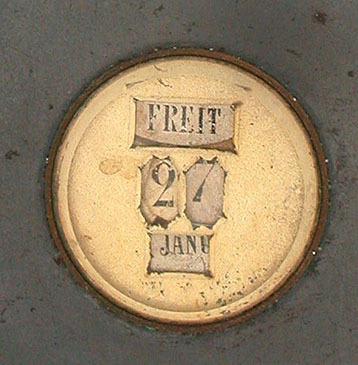 The case back with a glazed cover over three apertures for calendar dials (some restorations) for day, date, and month. 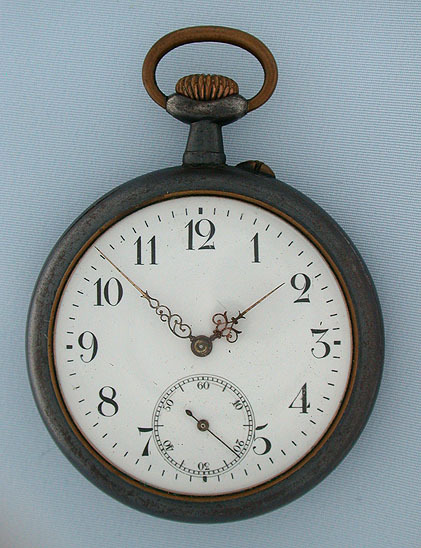 White enamel time dial with fancy gilt hands. This particular style of calendar watch is quite unusual.